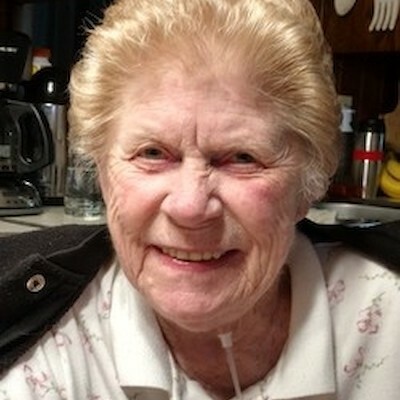 Barbara Mae "Barb" Elfers, 83, of Almena died Saturday, February 2, 2019 at Barron Care & Rehab. She was born January 22, 1936 in Hillsdale, WI to Tony and Lilly (Hoscheit) Balog, Sr., attended country school in Hillsdale and graduated from Barron High School in 1954. Barb was recruited by Fred Van Sickle while still in high school to work as a legal aid in his law office. She later worked in the law offices of Dan D'Amico and John Santerre. She was married at Salem Lutheran Church in Barron on July 16, 1960 to Myron Elfers. After they started their family, Barb made a home for Myron and their children. She taught Sunday School at Zion Lutheran Church in Turtle Lake for 15 years. Later, she was Clerk for the Township of Turtle Lake for 23 years. Barb served on the Board of Directors for Barron Hospital and also worked in the Barron County Register of Deeds office until retirement at which time she became Village Treasurer of Almena. Barb liked to sew, bake and tend to her garden, especially her Geraniums and raspberry patch. Barb was also the neighborhood grandmother. She is survived by her husband, Myron; children: DeAnn (Charlie) Nelson of Cumberland, Dawn (Joe) Greene of Turtle Lake and David (Louise Pavlusky) Elfers of Bloomer; grandchildren: Jeremy (Betsy) Henck, Alicia (Jordan) Myers, Noah Greene, Colin Elfers and Cody Elfers; great grandchildren: Rylan, Emma and Olivia; siblings: Margaret "Peggy" Olson of Prairie Farm, Ann Losness of Fridley, MN and Carole Kuhl of Almena; many nieces, nephews and other relatives. Barb was preceded in death by siblings: Jake Balog, Phyllis Knutson, Joe Balog, John Balog, Fred Balog, Violet Balog, Thelma Nelson and Tony Balog, Jr.
A Christian Funeral Service will be held at 11:00 AM Friday, February 8, 2019 at St. Matthew Lutheran Church - Almena with Pastor Preston Paul officiating and burial to follow at St. Matthew Cemetery - Almena. Recognized as honorary pallbearers are Romaine Elfers, Jerry Nordquist and Don Peltier. Visitation will be from 4:00 to 7:00 on Thursday evening at the Skinner Funeral Home in Turtle Lake and for 1 hour at church.